Don't forget to join in the discussion this Thursday night, April 27th! Here are the questions from our moderator, Alison Macrina of Library Freedom Project. 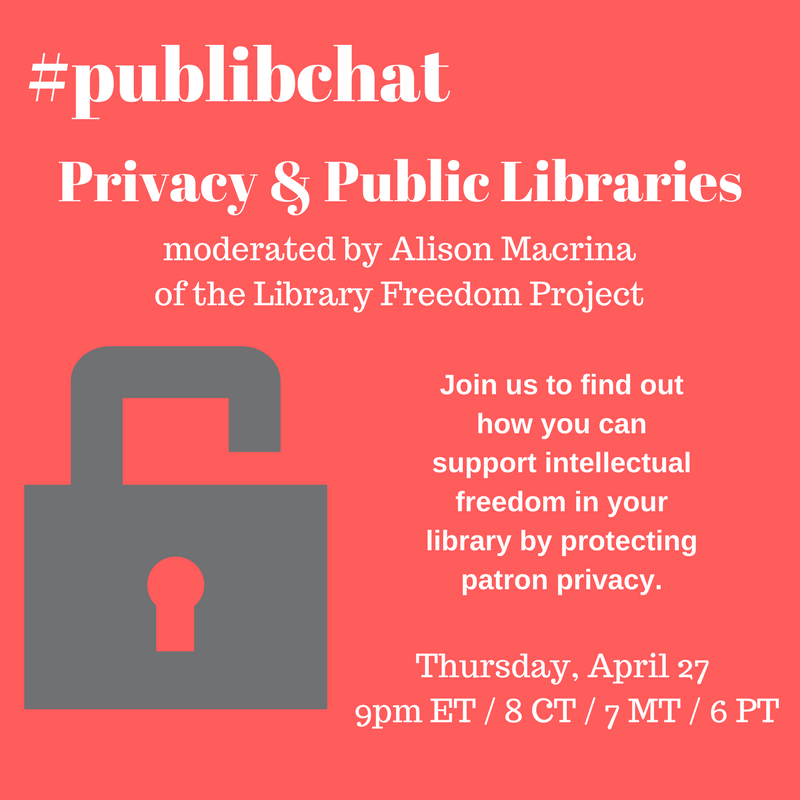 Q1 What privacy resources are you offering in your library? This could be trainings, software, policies, or something else. Q2 What would it take to make you/your library more successful in implementing privacy practices? Q3 What are your biggest privacy concerns? Q4 What privacy questions do you have? Are you curious about a particular tool? A news story? Worried about the broad effects of surveillance capitalism? Let's chat! And stay tuned for an excellent list of resources Alison created for us!! Please join in! RT and share widely!